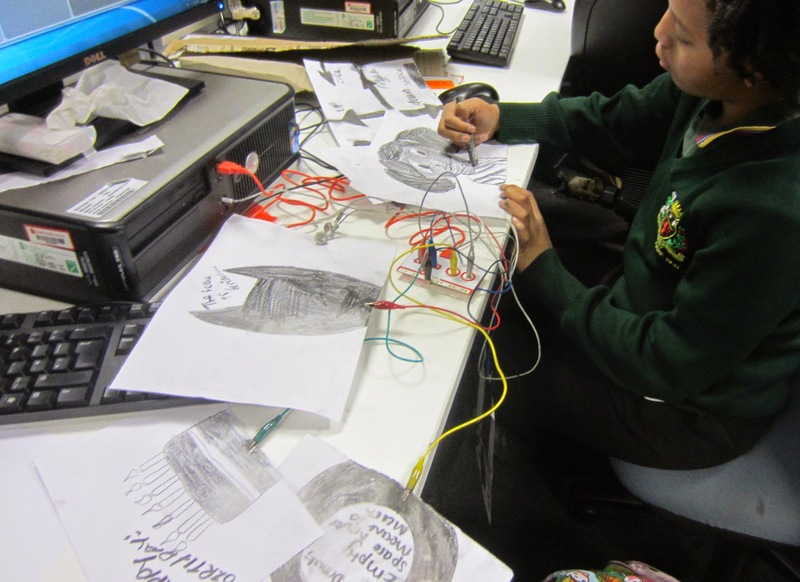 Creative Media & ICT: Using the Makey Makey Interface to Create Music Out of Paper! Using the Makey Makey Interface to Create Music Out of Paper! Reader Project students have just finished creating unique musical instruments using the creative controller interface – MakeyMakey. Each instrument had both software and hardware elements. 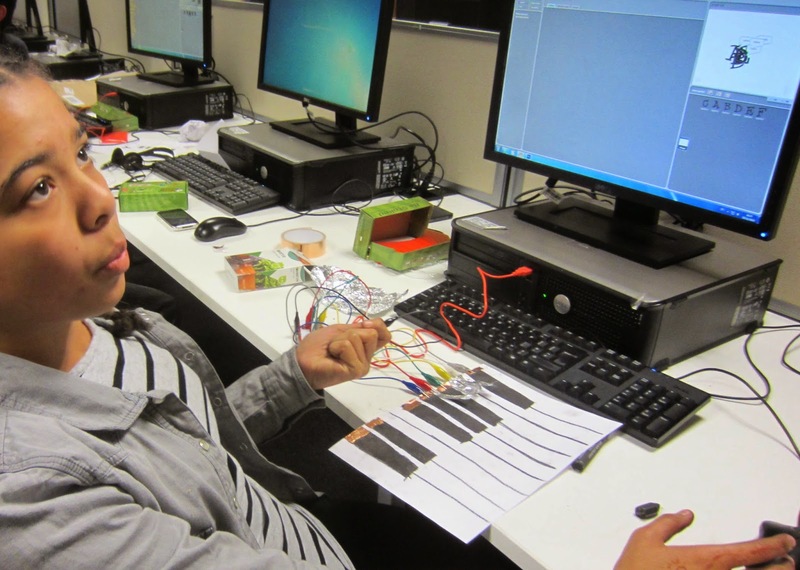 Students used MIT’s SCRATCH programming environment to create a program script that allowed their physical instruments to trigger sounds in the computers. Using paper, graphite, copper sticky tape (slug barrier tape) and aluminum foil, participants created final working versions of their instruments.